Showtime releases its second installment focusing on the the women’s middleweight title fight. It’s fight week leading into Claressa Shields and Christina Hammer’s undisputed middleweight title unification. And in anticipation of the bout Showtime Sports has released its second episode of All Access, covering the build-up to the fight. In this latest episode covering the behind-the-scenes action, we start of with Shields training out of the USA Boxing Gym in Colorado Springs. Shortly after we segue into Hammer’s training camp in Seefeld, Austria, where Hammer does some light shadowboxing before going for a run in the cold weather. 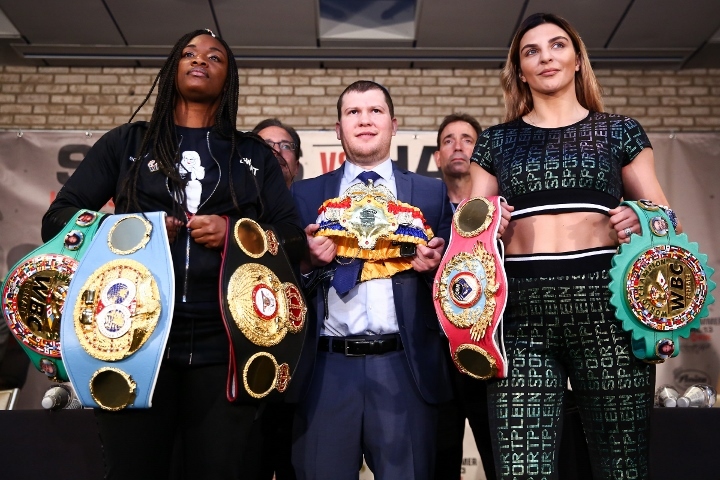 Some time later we revisit Shields’ camp where she talks about how Hammer has been on her radar since she was an amateur, while trainer John David Jackson discusses the improvements he’s trying to make in Shields’ game. Check out the full installment from Showtime above!